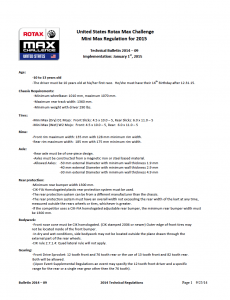 Announced at the 2013 Rotax MAX Challenge United States Grand Nationals that the Rotax Mini MAX class would receive extensive changes for the 2015 season, BRP Rotax and the MAXSpeed Group are able to release the final details for the class.Coming into effect on January 1, 2015, the following bulletin outlines the new rules for the Rotax Mini MAX division. While these rules differ from other countries around the world, we have worked with several industry leaders and Rotax drivers from around the world to develop a solid foundation to build upon. 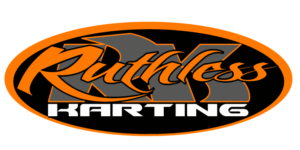 We feel that they have been best suited to fit the United States karting market as we move forward into a new karting season.If you have any questions, comments or concerns, please feel free to contact me at the MAXSpeed Group offices at 954.251.0017. 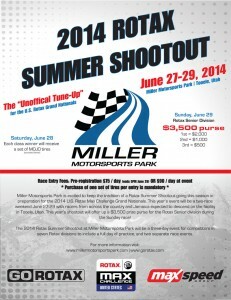 So-Cal Rotax racers get discounted rate at the Oxford Suites Hotel. $85 a night. Call and ask for Brittany and ask for the So-Cal Challenge rate. 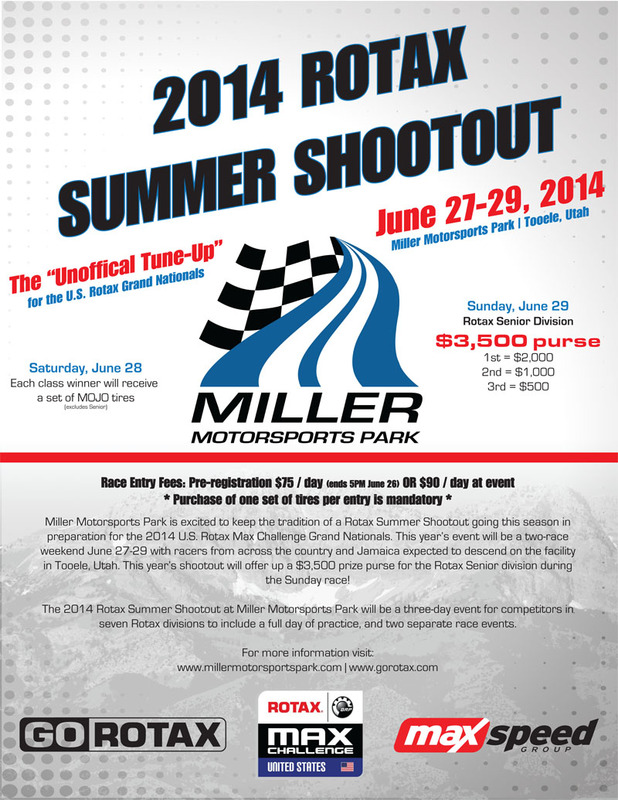 March 2, 2014 – Looking forward on the Rotax karting calendar, Miller Motorsports Park and MAXSPeed Group have begun to finalize plans for the 2014 Rotax Summer Shootout. Dubbed as the final unofficial test before the annual Rotax MAX Challenge United States Grand Nationals, the Shootout will take place three weeks prior to the annual Grand National event over the June 27-29 weekend.